It has taken courageous individuals like Eustace Mullins, Jane Bürgermeister,global health freedom. 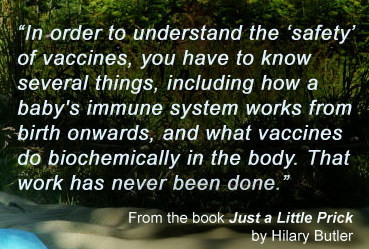 Helen Ratajczak linking vaccines with Autism and many others to expose the machinations underlying the worlds steadily deteriorating health due to vacinnes.The late Eustace Mullins first showed us the medical fraud of vaccinations and dangers of the medical monopolies in his book MURDER BY INJECTION.This came about as a result of some forty years of investigative research. 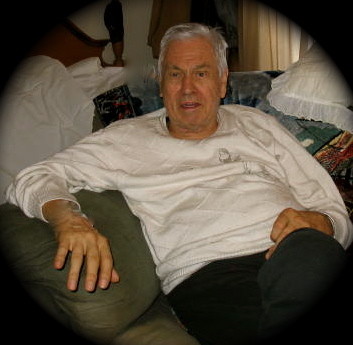 These findings in MURDER BY INJECTION also added further light to the devastating exposés, WORLD WITHOUT CANCER by G. Edward Griffin, THE DRUG STORY by Morris Bealle and Hans Ruesch´s NAKED EMPRESS OR THE GREAT MEDICAL FRAUD. As Dr. Gregory Loman puts it "Our country has somehow convinced or scared 90% of the population to buy into one of the greatest financial gimmicks of the last century." Alarming research findings continue to show that vaccines are responsible for the increasing numbers of children and adults who suffer from immune system and neurologic disorders, Autism, hyperactivity, learning disabilities, asthma, chronic fatigue syndrome, lupus, rheumatoid arthritis, multiple sclerosis, and seizure disorders. Despite this there are no studies to monitor the long-term effects of mass vaccination. There is now a VAST body of evidence to suggest companies with financial interests are pushing the issue in order to reap financial rewards. Dr.Viera Scheibner puts is clealry, "It took over three years of research before we looked at each other and said ‘Vaccines are killing babies’. "Still there are no mainstream programs TODAY to make sure physicians are to be absolutely sure these vaccines are safe and not harming people. Former drug company scientist Helen Ratajczak recently created a firestorm of debate from all sides of the vaccine-autism issue when she published her comprehensive review of autism research. This is a massively important study, for more than one reason. One element brought to light that has managed to stay well below the radar is the use of aborted embryonic cells in vaccine production.CBS News recently reported: "Ratajczak reports that about the same time vaccine makers took most thimerosal out of most vaccines (with the exception of flu shots which still widely contain thimerosal), they began making some vaccines using human tissue.Ratajczak says human tissue is currently used in 23 vaccines. She discusses the increase in autism incidences corresponding with the introduction of human DNA to MMR vaccine, and suggests the two could be linked.One of the Most Inexcusable Vaccine Revelations of All..
Why isn't your doctor asking you to get the facts Before Vaccinating?.Show us the science and give us the choice - This would eliminate any profit motive and ignorance regarding the vaccination issue. Mike Adams AKA "The Healrth Ranger" has a very detailed short summary on vaccination research. The greater good documentary and the National Vaccine Information Center provides a good summary of these important themes. ...Award winning documentary offers a fresh look at what's behind the sharply polarized vaccine debate in the U.S., and offers the opportunity for a new, more rational discussion about how to create safer and more effective public health policies to help our children stay healthy.Health officials insist vaccines are the best way to protect the health of individuals and the public.. As a result, the number of doses of vaccines included in the childhood vaccination schedule has tripled over the past 30 years, increasing from 23 doses of seven different vaccines to 69 doses of 16 different vaccines. At the same time there has been a rise in the numbers of vaccinations given to children, we've also seen a significant rise in the numbers of children suffering with chronic disease and disabilities.According to Judicial Watch, 26 children died after receiving the HPV vaccine between September 1, 2010 and September 15, 2011. If You Think You Know Everything About Vaccines..Think Again! On an ethical level, there is the issue of their compulsory nature. 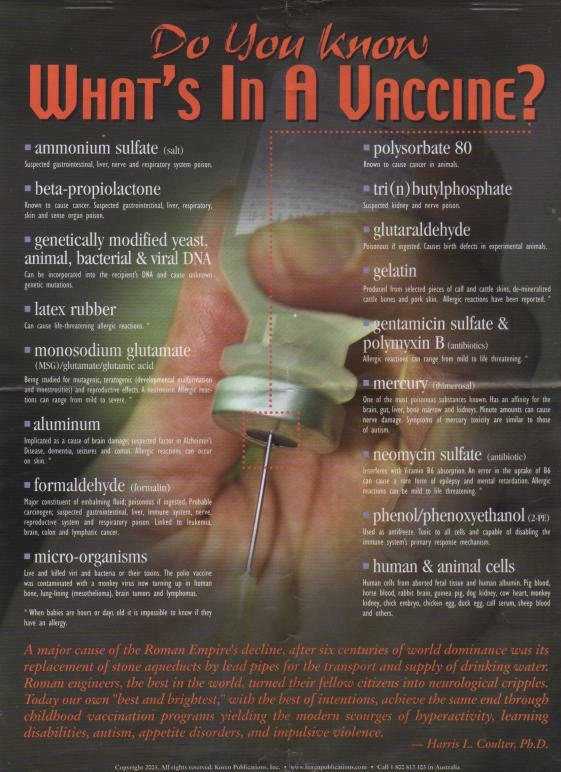 Should you and your children be forced to have something like this injected into your bodies, for any reason? This is precisely the case with vaccinations. Today children are still being used as test subjects by the medical establishment. A stunning new report reveals that top scientists who convinced the World Health Organization (WHO) to declareH1N1 a global pandemic held close financial ties to the drug companies that profited from the sale of thosevaccines. This report, published in the British Medical Journal, exposes the hidden ties that drove WHO to declarea pandemic, resulting in billions of dollars in profits for vaccine manufacturers.Several key advisors who urged WHO to declare a pandemic received direct financial compensation from the very same vaccine manufacturers who received a windfall of profits from the pandemic announcement. During all this, WHO refused to disclose any conflicts of interests between its top advisors and the drug companies who would financially benefit from its decisions. Source. 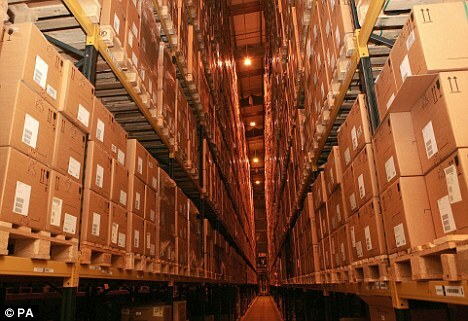 Government left with vast stockpile of unused drugs But response into outbreak was 'proportionate and effective'Lack of flexibility in contracts with GlaxoSmithKline Lessons: Dame Deirdre Hine concluded that inflexible contracts meant money was wasted on swine flu medicines More than £1.2billion of taxpayers’ money was spent on the swine flu pandemic that never materialised, a report has found. The Government was forced to squander vast sums on vaccines based on dire predictions that never came true. We rarely hear of vaccination deaths - not because they are not happening; because they are covered up, denied or fobbed off as coincidence OR they are explained away as "health risks are associated "NOT FACTS.Why is the International Medical Council on Vaccination and its affiliated doctors, scientists and concerned organizations conveying strong support for the work of the Australian Vaccination Network(AVN) condemniung the attempts an Australian government body is making to censor and suppress their work?. Swine ’flu and Big Pharma: why is there no scandal? -During the swine ‘flu hysteria, this blog kept insisting that the threat was overblown: that a coalition of drugs manufacturers, panicky journalists and cowardly politicians was conniving to talk up the danger. When it emerged that a billion pounds had been wasted in this outrageous boondoggle, no one apologised. Now we learn that some of the scientists who drew up the guidelines had been in the pay of the pharmaceutical corporations that stood to gain from the stockpiling.This revelation has received less than a thousandth of the media coverage that attended the original “epidemic”. Why is there not more sense of scandal? Are health correspondents embarrassed about the role they played in stoking the panic? Or is it simply that health scares sell more newspapers than government bungling? 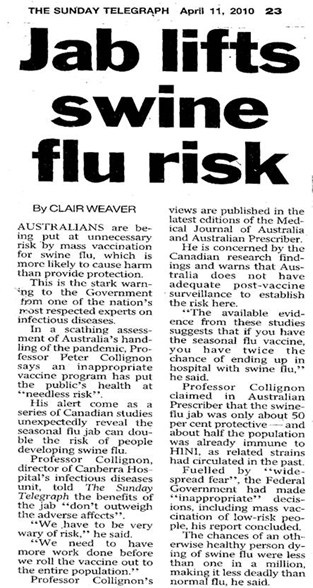 People should remember that the government said the flu vaccine was SAFE. What is their definition of safe - it will only injure and kill a few -that is OK? with so many people so unhappy with a succession of Gov's telling so many LIES and representing the dictates of the corporative New world order and the UN rather than to represent the Australian/world People. Swine ’flu and Big Pharma: why is there no scandal? Extra mutations help flu evade drug (Reuters) - Two extra mutations set the stage for the seasonal influenza virus to evolve into a form that now resists three of the four drugs designed to fight it, researchers reported on Thursday. Their study, published in the journal Science, provides a way for scientists to keep an eye out for dangerous mutations in new flu viruses, including the ongoing pandemic of H1N1 swine flu.Only four drugs are on the market to treat flu and two, the adamantines, are useless against virtually all circulating strains because the viruses have evolved resistance. The establishment is accepting Rockefeller funded JUNK science selling the public UNSAFE vaccines and drugs under the draconian TREATIES signed by the "Standing Committe on INTERNATIONAL HEALTH REGULATIONS.A little girl DIED on the 9th April 2011 in Brisbane from the SWINE FLU vaccination, and from Brne to Perth, over 60 children are in hospitals with convulsions. HOW long do we allow this to continue when MEDIA have kept it hidden from the public?.This is treason.We hope we can make the world see outside the box and take immediate action. I am a Brazilian doctor who is suffering the consequences of whistle blowing on the Brazilian government and its heinous health policies. This is the system YOU are relying on for your vitality. The cures for most diseases, and the knowledge to prevent most diseases has been know for some time, but the politics of medicine keep that knowledge suppressed. 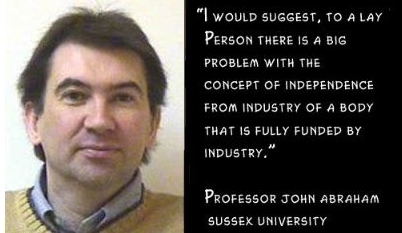 The only political issue is the fact we have a medical monopoly. If enough research information is available that Vaccines are causing more disease than they are curing, then why does this happen at the faculty level?. In the book "Murder by infection" Mullins describes how the Rockefellers with the help of the American Medical Association and government officials gained control of America´s health care industry in the early part of this century. Educating medical students was instrumental in their plan, Mullins writes: Rockefeller´s Education Board has spent more than $100 million to gain control of the nation's medical schools and turn our physicians to physicians of the allopathic school, dedicated to surgery and the heavy use of drugs. 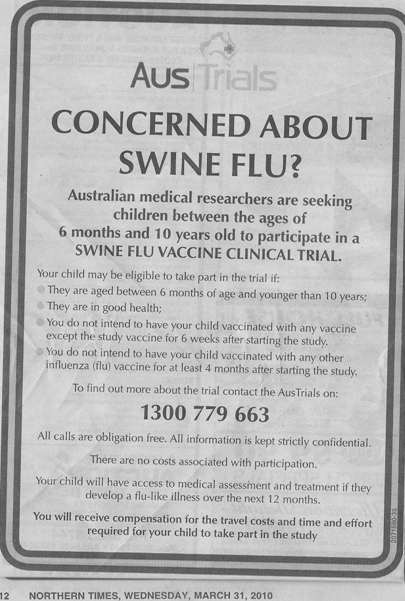 One only needs to view the 2010 interview with Jane Bürgermeister regarding the recent swine flu vaccine to be reminded of these realities today. The official site of Jane Burgermeister shows her investigations regarding the flu vaccines, WHO (World health organization) and the criminal conduct of several companies and organizations. It is there that evidence is collected and presented which, according to Jane Burgermeister, reveals that there is a plan in action to reduce the world population by using contaminated vaccines. 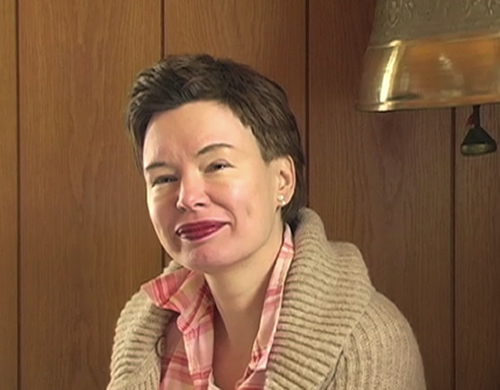 Jane Bürgermeister is an Austrian-Irish journalist, based in Vienna, who was propelled into the public spotlight last year (2009) when, outraged at the distribution of H5N1 (Avian Flu)-infected samples distributed to European laboratories by Baxter Pharmaceuticals, she started to publicize the issue and attempted to press charges against several authorities. Since then she has become a hero to many for her role in championing the rights of citizens against the threat of compulsory mass vaccination. Jane's research show that several international organizations are involved with this plan as are several international companies. However presenting the truth to help the public currently comes with a price. When the story of the Swine Flu pandemic broke, it was a terrible scare. Jane Burgermeister (an Austrian reporter) did what everyone else did & warned the public about the dangers of this illness & urged everyone to get vaccinated against it with the H1N1 vaccine. While covering this story, she uncovered evidence that it was a hoax designed by the World Health Organization & the United Nations to scare people into getting vaccinated.She turned all of her evidence over to the FBI 7 reported what she had found out to the public. Subsequently, she was fired from her job as a reporter in an effort to silence her. When that failed to succeed, she was charged with fabricated crimes in a further effort to silence her.She is due to go to court in Austria for these charges. She faces many years in prison & loss of all of her rights as an Austrian citizen.Please sign this petition to show your support for the freedom of speech & an unequivical statement that we are entitled to the truth & the right to make an informed decision regarding our health care & our bodies. Is there as much profit in vitamins or nutrition /natural cures as a solution? NO. Is it more effective? YES- The power of Vitamin C was featured on 60 Minutes. Never has the medical bias against high-dose vitamin C been so blatantly obvious in a mainstream media report. However the 60 Minutes segment was about a man in New Zealand who was as good as "dead" shortly after contracting the H1N1 virus. However Vitamin C cured him. 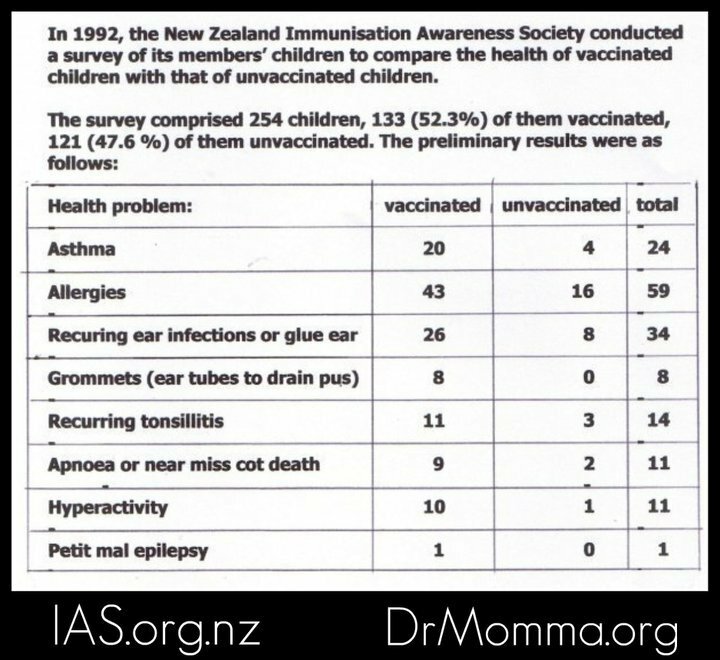 Vaccine statistics are alarming findings, mean time the information covering vaccinations on this page must be given to doctors and community mothers groups by you, also we need signitures for public pressure (This link has been included below). The vaccine groups need your support. History shows us that dangerous consumer products will not be removed from shelves or re-engineered unless complaints are filed.And do not think a simple name e-mail and country on a petition does not make a difference or is not essential ground work needed for this. The way things have been going these last 10 years:Listen to what the status quo of the pharmaceuticals and mainstream medical establishment is saying (and the FDA, the same thing). The results show that if you believe the opposite you have a much better chance of not going wrong and staying healthy.They say genetically modified food is good for you, however frankly, they have no way of knowing this). They say that you MUST buy some corporation's seeds if you want to plant; just because your neighbor did or else pay the corporation anyway when the wind blows them over to your land (CONTAMINATING your natural crop). They also say, that we do not have the right to know on the label if the food we buy was genetically modified or not.They say milk with dangerous hormones in it is good for you, and got natural milk banned from sale.They say there is "nothing wrong" with putting fluoride in our drinking water on purpose. Nothing wrong with Mercury amalgamates in our dental fillings. Nothing wrong with sugar substitutes that conclusively and consistently kill lab animals exposed to them.They say mercury and squaline in vaccines is good for you.They say vitamins should be by "prescription only".And signed a UN treaty that is incrementally trying to mandate this throughout the world. "They" say that chemotherapy and radiation treatments for cancer should be the only remedy ever considered; and put others that disagree in prison for even mentioning that there are better ways, and that a patient's chance of survival is actually lower when chemo and radiation are used, than if they just go home to die. They have even gone so far as to illegally and blatantly kidnap these alternative medicine advocates from foreign countries, and bring them to the US for Federal prosecution. And simply ignored the official diplomatic complaints of the country it happened in for doing so (Ecuador).They refuse to ever allow mention of alternative treatments & medicines on the mainstream media. "Coincidentally", these alternatives that are never mentioned are always cheap and in the Public realm (cannot be Patented, and cannot be sold using the usual profit margins that often exceed 1,000%). Studies on these natural or simple chemical remedies are never done in the US ; although 10's of billions are spent yearly through the NIH system "trying to find cures".They are trying very hard to discredit and downplay the claimed link between cell phones and brain cancer now. Why continue to believe them at your own peril?. Watch the free animated short video that has created a major controversy across the Web. The video parodies the drug companies and conventional healthcare system and many are furious about the truth being exposed. For some of you, this may be the first you’re hearing about vaccinations’ potential for harm, and their questionable effectiveness. But please don’t take my word for it. You have at your fingertips a very powerful tool to find out the facts: the Internet. On this site alone there are thousands of articles about vaccines, their potential side effects, and their dangerous history. And remember, you still have the legal right to refuse to vaccinate your children. While all 50 states have immunization requirements, 28 allow parents to opt out for medical or religious reasons. PLEASE SIGN THE PETITION HERE. THIS PETITION COUNTS FOR ALL OF THE ISSUES MENTIONED IN THIS SECTION. BY SIGNING IT YOU JOIN THE EVER-GROWING GLOBAL PUBLIC ACTION FOCUSED TOWARDS ADDRESSING THESE ISSUES. CAN YOU HELP START CLASS ACITON AND MANDATES?. Panacea-BOCAF - contact us.